I took this picture a couple of weeks ago but it isn't until now that I have the chance to share it. This year has been extremely crazy for me and I'm trying to get organized, hopefully within the next few weeks I'll finally settle down and start blogging more frequently. 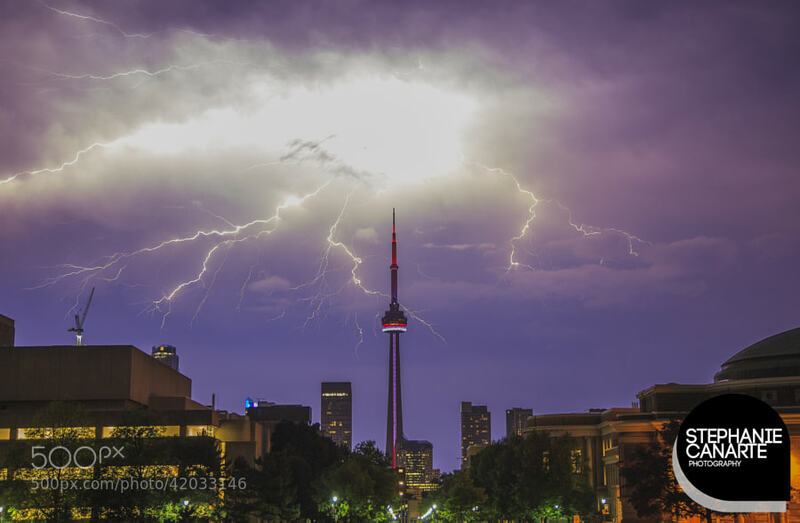 Back to the topic, for the longest time I've wanted to take a good lightening picture so during the last storm we had, I walked until I found a clear view of the sky and the CN tower and I stood there, getting bit by 1,000 mosquitos, for two hours until I got the image I wanted. Mosquito bites and all, I think it was worth it.